The Adelphi Theatre Project: Graphics, Image for Waylett, Harriet (1798-1851): Actress, theatre manager. Graphics, Image for Waylett, Harriet (1798-1851): Actress, theatre manager. Waylett, Harriet (1798-1851): Actress, theatre manager. Waylett, Harriet (1798-1851): Born Harriet Cooke, she appeared on the Bath stage on 16 March 1816. She then acted at Coventry, where she met and married a bigamist using the name Waylett. 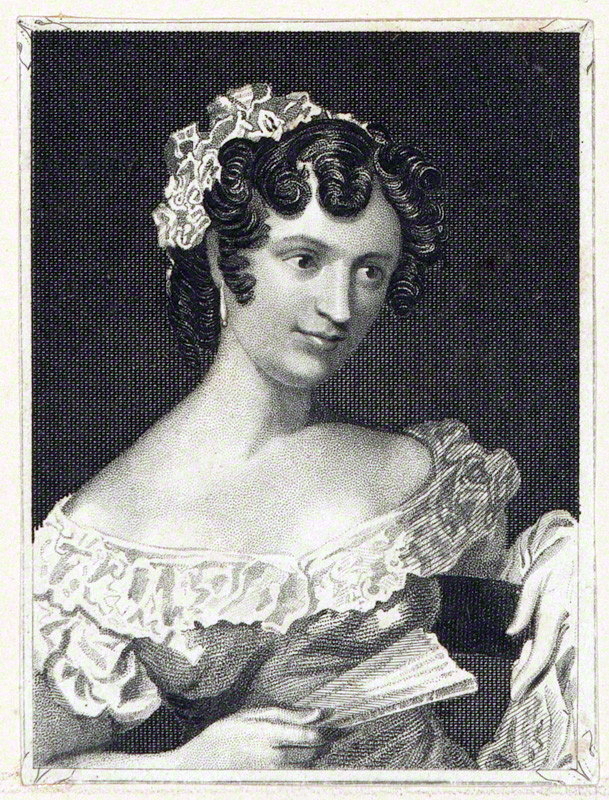 In 1820-23, she was at the Adelphi, where she was the original Amy Robsart in James Planché's adaptation of Kenilworth, and Sue to her husband's Primefit in William Moncrieff's Tom and Jerry. She returned to the Adelphi in 1833, first as part of the homeless English Opera House and then for the 1833-34 season. There were few London houses at which she was not seen and was a favorite in the country and long considered one of the best soubrettes in her day. Copyright © 1988, 1992, 2013 and 2016 by Alfred L. Nelson, Gilbert B. Cross, Joseph Donohue. Originally published by Greenwood Press as The Sans Pareil Theatre 1806-1819, Adelphi Theatre 1819-1850: An Index to Authors, Titles, Performers, 1988, and The Adelphi Theatre 1850-1900: An Index to Authors, Titles, Performers and Management, 1992. The Adelphi Theatre Calendar revised, reconstructed and amplified. Copyright © 2013 and 2016 by Alfred L. Nelson, Gilbert B. Cross, Joseph Donohue. This work is licensed under a Creative Commons Attribution-NonCommercial 3.0 Unported License, with the exception of graphics from The Clip Art Book, edited by Gerard Quinn and published by Crescent in 1990. These images are reproduced in accord with the publisher’s note, which states "The Clip Art Book is a new compilation of illustrations that are in the public domain. The individual illustrations are copyright free and may be reproduced without permission or payment. However, the selection of illustrations and their layout is the copyright of the publisher, so that one page or more may not be photocopied or reproduced without first contacting the publishers."